Well the time has come to blog about the awesome support that X-Bionic and X-Socks are giving me and the kit they have supplied me with. I've not reviewed any kit properly before, however I did carry out testing on a pair of shoes for a running mag, but I did not have to blog anything about it. Hopefully, I hope to do the justice the kit deserves. Last year, I created an event for myself as I couldn't find one to suit my needs. The event of 7 Ultras in 7 days was created and suitably named #YOLO7dayUltra we will only live once. This blog isn't about the event, so I won't go on too much about it. I approached a lot of companies for assistance in some form to help me perform and complete this event. 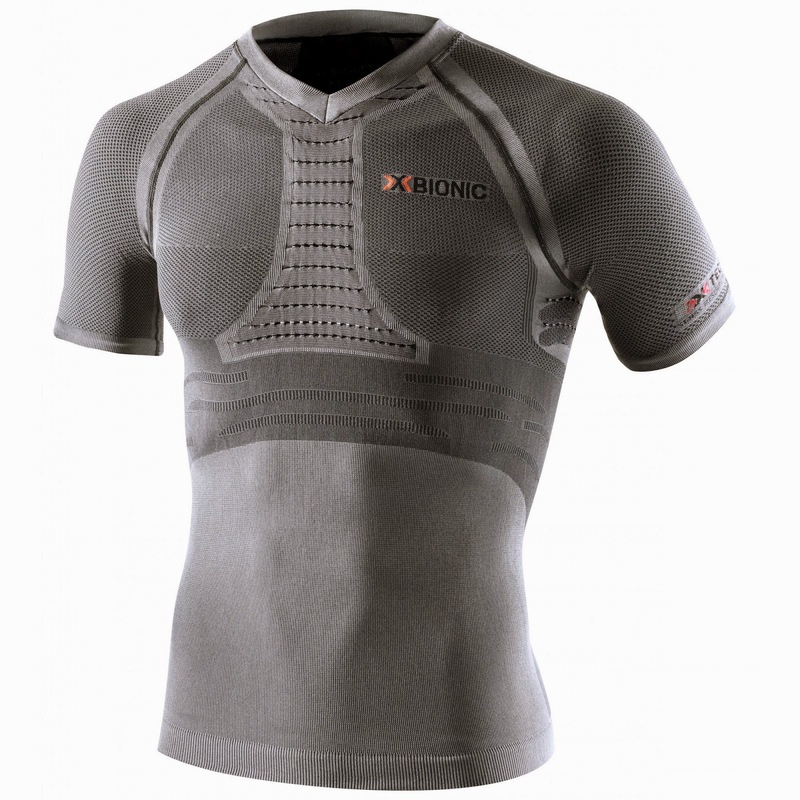 This is where X-Bionic and X-Socks come in. After I had spoken to them regarding my event they sent me a couple pieces of kit to use for my training. I was over the moon, finally someone was willing to help me. The kit they provided me was a pair of Running Pants shorts and a Fennec Shirt short sleeved. I felt humbled and privileged to be provided with such kit. Obviously very happy to do as much PR via the means I had including social media to pay them back in return. This wasn't the end of their support, I kept them updated as my event calendar filled up for 2015 as not only did I plan on running 7 Ultra's in 7 Days but I will be now completing 37 events throughout 2015. From small parkruns and local events to big events of marathons, ultras including 24 hour events. They supplied me with even more kit including X-Socks. Additional kit an extra pair of Running Pants shorts, The Trick shirt short sleeved, Marathon X-Socks and Sky Run X-Socks. Overwhelmed by the support is an understatement I can tell you! Now on to the kit itself, firstly I'll start with the Running Pants shorts. I'm very particular about the tight fitting shorts I wear, so I wasn't too sure how these would suit me. My biggest hate is chaffing in the lower parts whilst on my long runs due to sweating. Now depending on the brand of shorts I vary between medium and large sizes, and I went with medium on these pairs. First impressions was they were a good looking pair of shorts, although I wasn't use to the type of material they made from compared to other brands of similar shorts. I wasn't sure how I would get on with them to be honest. I wasn't let down at all, the fit was good and because of the design I have never felt so comfortable like I do with these shorts. The good thing about them, is their design. They allow my lower regions breathe in hot conditions. I have conducted a fair few training runs now in the Middle East so they have been put through their paces in the heat. With temperatures at 32 degrees plus, I can safely tell you, I can't praise these shorts highly enough. They help my performance in both hot conditions from the Middle East to the lot colder conditions of the winter back here in the UK. Yes even through cold muddy conditions of the UK that I have run through they haven't yet failed to perform for me. 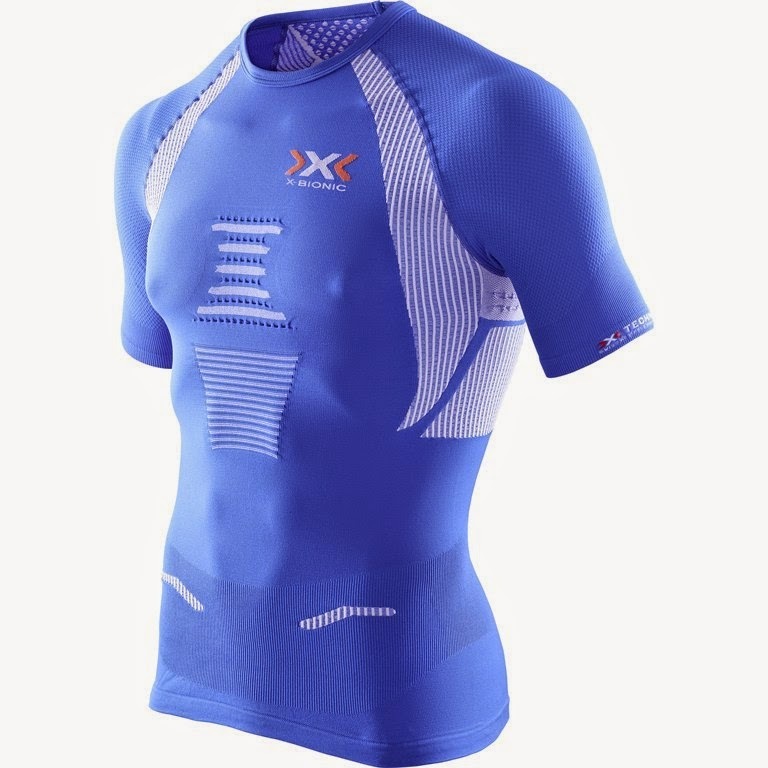 The Partial Kompression still gave me the compression I like without the loss of cooling, the ISO Pads retained the body heat when needed especially during my cold runs but doesn't over heat me during the hot training runs I have carried out. 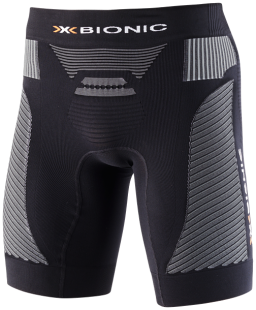 Finally, the way the Two Step 3D-Bionicsphere System did exactly what it was designed to do, the grip and comfort it provided is something I found many other shorts lack in. The Fennec Top short sleeve was the first top I was given, is a top I wouldn't have even thought about really wearing in the past. I'm used to wearing technical t-shirts for training in, so I wasn't sure how I'd fair in this type of top. Now the Fennec Top was definitely a top that was needed whilst out in the Middle East. Obviously in the heat I was going to sweat and overheat a fair bit. Straight away with it's design, I automatically noticed how good it was. My body itself didn't notice the heat, the way the top removed most of the sweat whilst keeping some to cool the body was incredible! Again it was comfortable and the technology that was put into the top was noticeable by how it fitted to me. I'm not a racing whippet by any means but it didn't matter. What about in the cold like in the UK? Well it didn't fail me then, I have yet to fault this top in any weather. Especially when wet, it never let me down. As I run for clubs, I often where my top under a club vest or shirt of some sort. It is like a second skin underneath the club top and I even sometimes forget I am wearing it. The second top provided for me is The Trick Top short sleeved. Now I've not long received this top, so I've not yet put it through it's paces like the Fennec top above. If it's anything like the Fennec top, I doubt I will be disappointed. Some of the same technology has gone into The Trick as well new additions. For instance the Expansion Flex Zone at the shoulder joints allows unrestricted movement, this doesn't make the top ride up because the Stretch Ribs help the top stay in place and that allows the various technologies on the top to stay in place and do exactly what they were designed to do. I'm really looking forward to running more with this top as already its showing good signs of performance and compares very well with it's older brother the Fennec. So if tops and shorts wasn't enough, socks were included. Now socks is a funny subject when it comes to running. Everyone seems to have their own opinions on socks and most will stick with what they know and very unlikely will move to a different brand or type of sock. Which is fair enough, up until now I pretty much stuck with a certain type of brand and type of sock because they served my purposes well. I wasn't sure how exactly these two different type of socks were going fair on my feet. 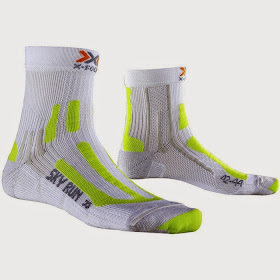 The first type of X-Sock was the Marathon socks. A single layered sock unlike my usual socks, I feared I may possibly suffer from the dreaded blisters. Now both types of socks are good, but at this present time the Marathon socks are my favourite pair. They have stood up to distance, mud, water and a good hard pounding on various surfaces.They are comfortable fit snuggly to my feet without issues. Despite only being one layered it didn't seem to matter. The second pair are Sky Run socks. 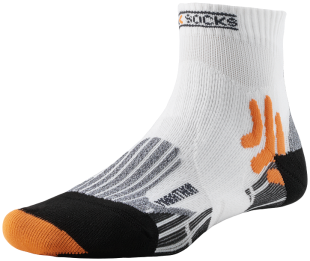 Again a good pair of socks that fit well on my feet and cause me no issues. I've yet to take them out on a long run but they have stood up to a fair battering on tarmac so far. They have made it through the wet ok but have yet to taste the muddy terrains I tend to run through. Both socks are good and there is little between them, I just for some reason prefer the Marathon ones, however my mind may change as my training progresses. Again I am honoured to be given some great items to use in my training an events. Even if I wasn't given them, I know I would actually buy these and can't recommend them highly enough to people. So far, I have completed 4 out 37 events and I have some big ones ahead I can tell you. 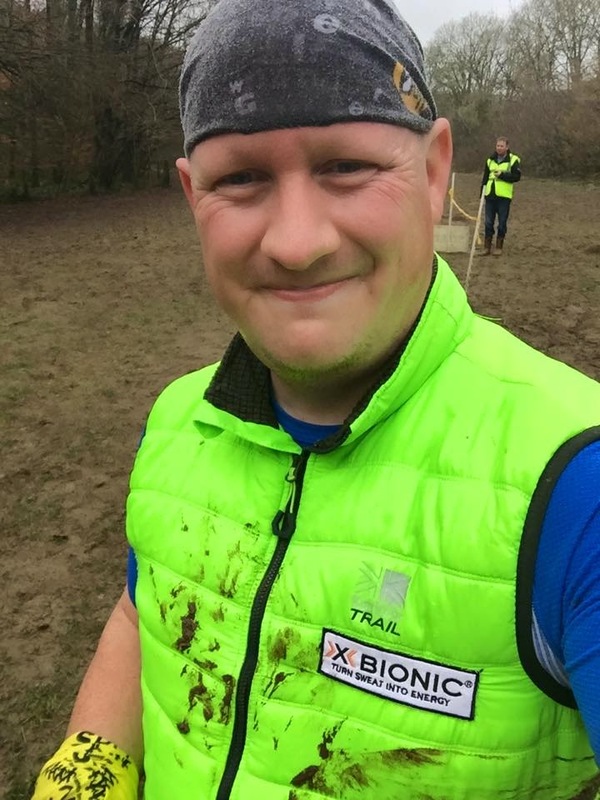 Some exciting times to be had and I know with the support of X-Bionic and X-Socks I will definitely demolish the 37 events and especially the 7 Ultras in 7 Days event #YOLO7dayUltra.